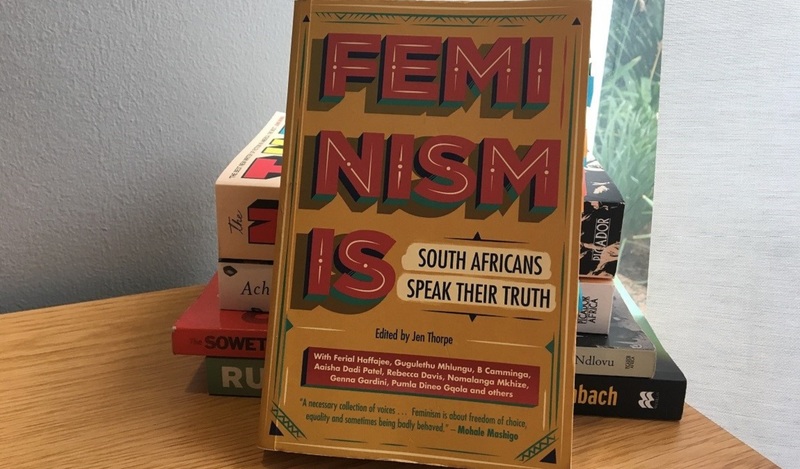 Feminism Is: South Africans Speak Their Truth is a new anthology of feminist writings edited by Jen Thorpe. It includes voices from people in various fields, different race groups, sexual orientations, and religions all sharing their thoughts on what they think feminism is and what it means to them. FATIMA MOOSA writes about what she learnt about feminism after reading the book. Feminism Is aims to be an inclusionary book with many voices being reflected. Questions can be asked around how much space people were given to espouse their views, but on the whole the book can safely say that it manages to allow for everyoneâ€™s voice to come through. The book includes writings by Pumla Dineo Gqola, Haji Mohamed Dawjee, Aaisha Dadi Patel, Gugulethu Mhlungu, Dela Gwala amongst many others. One of the strongest messages that comes through from the book is that FEMINISM IS CHOICE. It is about being who you are and saying what you want without any restrictions. It is about giving *womxn back their narratives as Aaisha Dadi Patel writes and letting womxn speak for themselves. One of my favourite chapters had to have been Pumla Dineo Gqolaâ€™s titled â€œA mothering feministâ€™s lifeâ€¦â€ She speaks about how to be a mother and feminist and how to be a feminist raising sons. But the thing that stands out the most from her chapter, which is reflected by many others, is how feminism is friendship. Patriarchy often likes to paint womxn as being on opposing sides and that womxn will climb over each other in order to achieve something. However, Gqola writes about the importance of her feminist friendships and how the different womxn in her life have all shaped the way she views feminism. Feminism is not a solitary project and cannot be undertaken as one. Many of the writers talk about how they learnt about feminism whether it was from their mothers who donâ€™t call themselves feminists but actually are, from their friends or from people they have never met. All of this adds up to feminism being inspired by others and their thoughts and actions. Often some acts are not regarded as feminist in some traditional sense of the word but in fact feminism is not something that can be boxed. Everyone is searching for clarity and meaning, and often inspiration can be found in the strangest of places. But it is that inspiration which can lead one to a feminist realisation. What was very beautiful was how poetic and soothing the writing was. This was echoed by many of the writers especially those who said they learnt feminism from the womxn of their household. Feminist writings, especially in the academic sense, can be alienating at times and quite highbrow. However, many of the feminists say they learnt feminism from the womxn of the household who might not even call themselves feminists because they do not have the academic language to use. It was through their actions and words that they taught the writers how to be feminists, and what it means to resist and fight against patriarchy. Aaisha Dadi Patel writes about this in her chapter (one of my favs) when she says her mother doesnâ€™t call herself a feminist but is truly one in every meaning of the word. Flavia Dzodan famously said â€œMy feminism will be intersectional or it will be bullshitâ€ and this rings true for many writings in this book. The origin of the term intersectionality might be murky as far as who first coined the term, even though Kimberle Crenshaw is largely credited as the person who coined it. Intersectional feminism is basically allowing the voices of womxn of all races, economic standings, religions, identities, and orientations to be heard. It is feminism that takes into account the experiences of all womxn and not just white womxn whose feminism for the longest time has been the one that has been amplified in the discourse. Intersectionality is about acknowledging that not all womxn experience inequality and discrimination in the same way and that black, queer womxn are often the ones who experience the worst of this. Some of the writers in the book just do not seem to get the need for intersectionality even though the majority of the writers, especially the writers of colour, speak about this which does pose a problem. 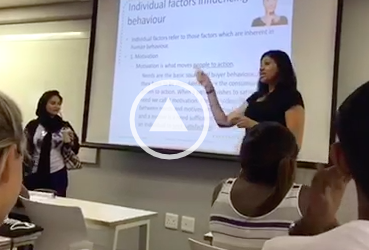 Another interesting point that was raised was how older feminists, especially those who became feminists during apartheid, see younger feminists whose views and experiences differ quite radically from each other. Feminism is about acknowledging the difference in experiences and trying to find a way to work together while giving each voice space. 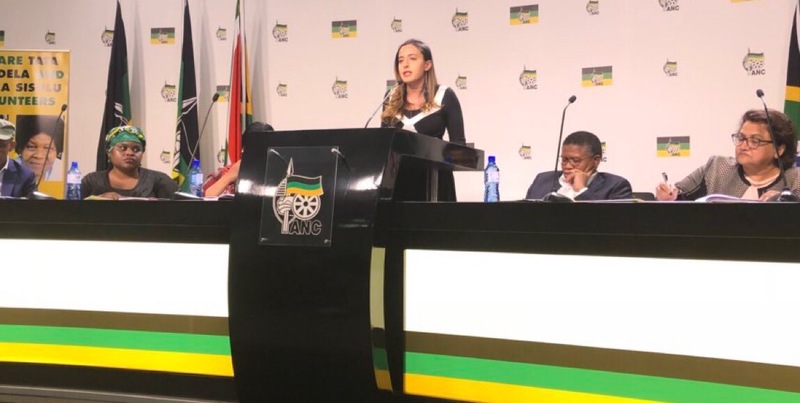 Ferial Haffajee writes about how sometimes the feminism being expressed by the younger generation makes her uneasy but at the same time she watches in awe as new feminists fight the patriarchy. The struggles that were faced by womxn from the older generation differs quite greatly from the ones faced by womxn nowadays. Yet there are lessons that can be learnt and shared. There needs to be an acknowledgement of work that was done in the past but at the same time, there needs to be realisation of the different circumstances facing womxn today. There were many lessons that the book teaches about feminism. It is also the type of book that makes you cry, angry, and hopeful in equal measure. Whether you identify as a feminist or not, this is an excellent book as a starting point for engaging with the issues. It doesnâ€™t answer all of the questions but it does pose new questions for taking the discussion around feminism, inclusion, exclusion, patriarchy, and struggle forward. The book can be found at all good bookstores online at Takealot, Loot, or at your nearest Exclusive Books.